January 19, 2019 – Rwanda has announced new rules that restrict the number of telephone lines an individual can own to three as part of wider efforts to curb subscriber identity module SIM, related fraud. In messages sent out to telephone subscribers this week, regulator Rwanda Utilities Regulatory Authority RURA announced that holders of Rwandan national ID’s would be allowed a maximum of three lines registered to their cards while none nationals would be allowed to register only one using their identity documents. The rules kick into effect starting January 31, 2019, after which subscribers will be expected to surrender any surplus telephone lines associated with their ID’s. 256BN has learned that besides giving a more accurate picture of the actual number of subscribers, the rules are intended to weed out the practice of SIMBOXING which fraudsters have been using to terminate grey-traffic into the regional telecommunications network. Regional telecoms have for years decried the heavy losses they make when fraudsters who build racks of SIM cards registered to local mobile telephone networks, use them to terminate international traffic disguised as local traffic. More significantly however, criminal elements such as terrorists and members of international trafficking networks, rent surplus sim cards from locals, to facilitate their communication and sometimes, identity theft. The Rwandan action mimics similar moves in Kenya, Uganda and Tanzania. 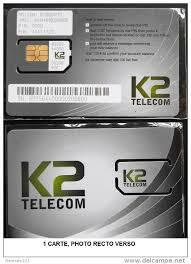 Uganda restricts to 8, the number of sim cards that can be registered to an individual while Kenya allows ten. By far the most stringent limit has been proposed by Tanzania which last year proposed rules that would restrict an individual to owning just a single a telephone registration.